The property has a gorgeous view and was in great condition. The apartment is very spacious and has a cozy yet updated feel. Many thanks to Raffaella for helping us enjoy our stay. She was flexible with our late-night arrival and had prepared pastries for us, which we appreciated, especially our children. The apartment was large and clean, with everything we needed to be comfortable. The view was wonderful, and we enjoyed exploring the area. I have already recommended this property to others who will be in the area, and I hope to return. If we do, we will stay here again. Piemonte is an excellent place to visit all known places in Campania. Apartment is large and well equipped. From balcony we had a beautiful view on Naples Gulf, Vesuvius and Pompeii. We especially thank to our host - Raffaella I Ciro. They surrounded us exceptional care. We will never forget the tasty cakes, excellent coffee and a farewell dinner. Rafaella and Ciro gave us a lot of positive energy and a lot of useful advice. We found them as a true Italian friends. Raffaella and Ciro thank you for all the nine days we spent in your company. thank you for the nice review you have also released for us and 'been nice to meet new friends from Poland. 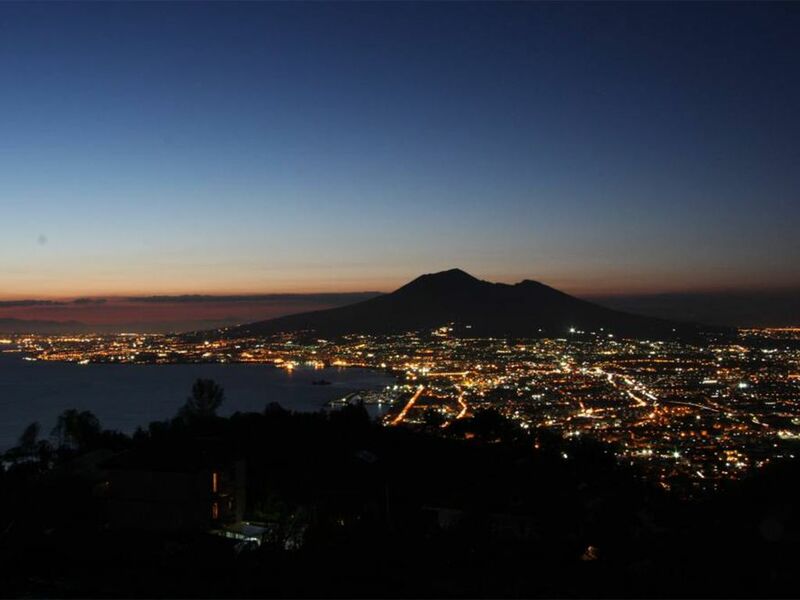 "The well-equiped house at Pimonte has a beautiful view of Napels, Mount Vesuvius and Pompeii. The charming hosts, Raffaela and Ciro, are a wonderful couple that helped us with everything we needed and more. The swimming pool was a cool place where the children spent much time. Recommended wholeheartedly for families with or without children!" "Excellent apartment, with a great view of its region, the apartment is very comfortable, a great place if you want to relax and enjoy the beautiful scene of south of italy. Our holiday was fantastic and we were very happy with the Apartment, very pleased with your friendly welcome and treated us as part of your family during our stayed.The apartment is lovely, just the right size and very clean. Would highly recommend this partment especially to people that want a break and needs to relax, however you must drive or rent a car in order to enjoy your holiday more and explore other places such as amalfi cost, salerno, sorrento etc. I enjoyed my time in pimonte very much and will like to return very soon, the hospitality was wonderfull couldnt ask for more." "Raffaella & Ciro felt like old friends before we had even met them from all the email correspondence we had prior to staying. The apartment was spacious, clean with a balcony overlooking the Bay of Naples. We felt very well looked after and we can't praise them highly enough. We were picked up in Naples by Ciro, spent a lovely New Year with the family and would definitely recommend staying at this apartment. Lovely people."